Estonian e-residency with Remote Banking: Do you need it? Estonia, well known Eastern Europe’s tech gem, has been for a while on the radar of location independent entrepreneurs, expats and digital nomads. Thanks to its fast internet speeds, easy flat tax hailed by Jeb Bush, innovative e-residency program, and overall favorable environment for international investors. If you were looking for a place to register your business in Europe, or get a second residency- chances are you have already heard and researched about Estonian e-residency program. Recent updates to this program sparked a whole new interest and spotlight in our community of entrepreneurs, making me stumble across a lot of unaddressed questions and common misconceptions from people looking to invest and bank in Estonia have. I will admit, the whole e-residency thing is a pretty cool thing to have, essentially leading to your Estonian smart-looking ID card and ability to use government websites and online banking services. What makes it of particular interest to nomads and location independent entrepreneurs is that the Estonian e-residency makes it easy to establish a company within the country. But, what no one is saying is that Estonian e-residents, especially those who are digital nomads, should be cautious when considering remote banking in the country. While this program lowers significantly the barriers for investing in Estonia, it’s important to really evaluate a foreign country before you decide to make a move. 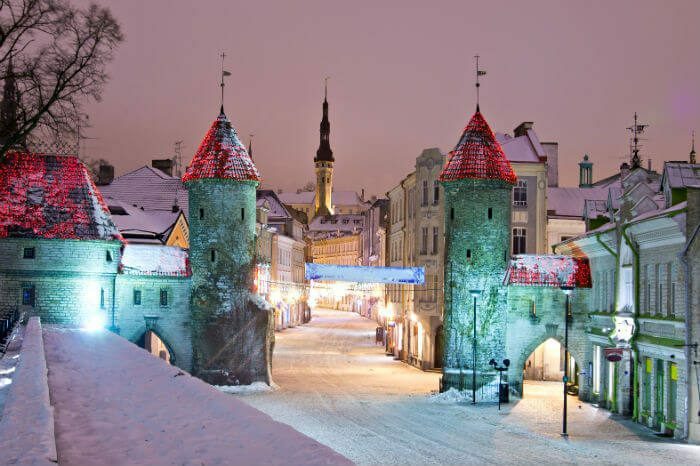 Recently, a new announcement has been made regarding the Estonia e-residency program. Kaspar Korjus, the e-residency program director, sent out a newsletter detailing the beneficial changes of the program with emphasis on the partnership with the Finnish company Holvi, which will make it possible to open a complete EU company combined with a fully digital EU IBAN business account entirely online from pretty much anywhere with an internet connection, through Estonian e-residency for the first time. Basically, they are saying that they’ve made it really easy to start a company here. It used to take four visits to the country, now it only takes one visit to open a corporate bank account. 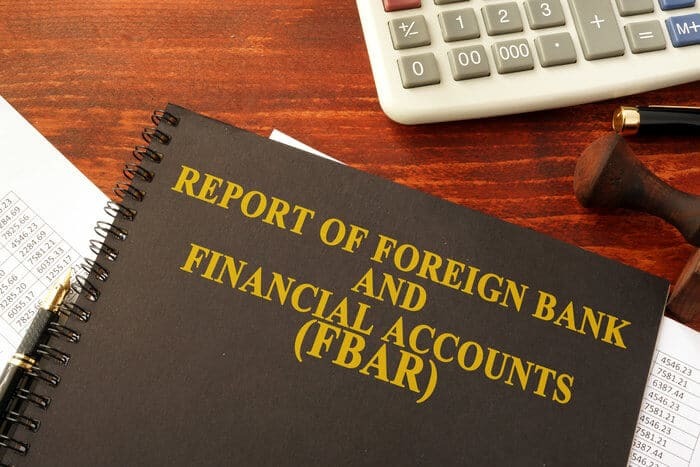 You should have in mind that Estonian banks still want to make sure that they are complying with the rules and regulations, like anti-money laundering efforts. Some people think that now you can open an Estonian bank account for literally anything. This is what I will address as misconception # 1. Even if you are an e-resident, Estonian banks don’t have to take you. I mean, they don’t even have to take Estonian companies. It’s just like in the United States. If you are a U.S company, a U.S bank can open an account for you, but they don’t have to. For U.S companies, 99.9% of the time, they are required to go to U.S banks. In Estonia, it is the same way. Regardless, let’s say again the Estonia e-residency is making things easier. Kudos to them, as they will now have a partner that will let you set things up remotely instead of traveling to Estonia to do so. But let’s take a step back here and ask: ‘What is YOUR goal of setting up a company in another jurisdiction? If you are Estonian, and you’re selling things in a shop located in Estonia, of course you’re going to set up a shop in your own country. You’re subject to Estonian laws, and you do business in your own name or through an Estonian company. On the other side, opening a store in Estonia with a Hong Kong company, might won’t solve any problems or help at all. So, the question is, if you’re location independent and you have a location independent business, WHY do you want to start an Estonian company? If your thought to take action on this is because it seems like a smart move, or because you have heard a lot of entrepreneurs are doing it, then this could be another example of the ‘monkey see monkey do’ philosophy that takes over the digital nomad and location independent movement.I think that Estonia has done such a great job marketing itself to digital nomads, as has Bangkok and Ubud. It’s becoming a thing where it’s presumed to be what location independent people and digital nomads do. 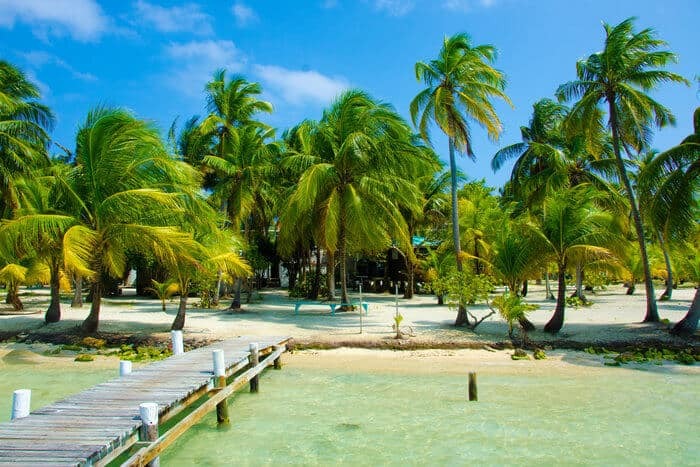 So, let’s presume that if you are considering setting up an offshore company in a country other than the one that you’re living, it is probably because you want to make your operations easier and you want to minimize tax. After all, for anyone living overseas, U.S citizen or non-U.S citizen, there is an inherent tax benefit in most cases. In fact, every week I am helping people who live a nomadic lifestyle to pay as little as zero in tax. But here’s the deal- Yes, Estonia allows you to pay zero in tax, but temporarily. An Estonian company allows you to accumulate as much cash of the company as you want to, only when you take a distribution of the shareholders to pay their flat rate of 20% tax. This leads us to misconception #2: This is not a tax- free company. Estonian companies are not tax-free. People have fallen into this trap of thinking that it’s fast, and easy, and cheap. Sure, it’s pretty cheap to set up an Estonian company, and there are all sorts of services to help you. It’s pretty fast, and relatively easy with these services, but does that make this the best thing? Not necessarily. An Estonian company may or may not be the best one for you. If your goal is ease of operation and a cheap company, fine. And, if you’re a very small business or a freelancer and you are making $40,000-$50,000 a year, maybe it’s worth paying the 20% in tax. Or maybe it’s actually not. Maybe it’s better to be a sole proprietor. Perhaps it’s even better just to do business in your own name. If you’re just doing freelance work, maybe you don’t need a company at all. And maybe, you just need more help doing personal tax planning to make sure you aren’t paying tax in your home country. 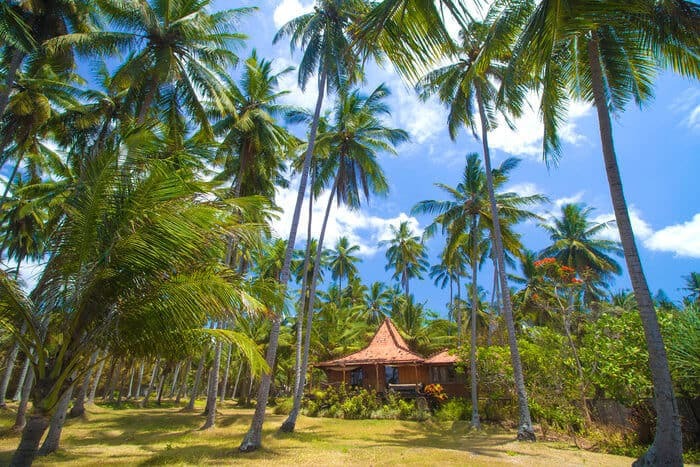 Quite frankly, even a U.S citizen who is subject to tax on their worldwide income and who lives overseas as digital nomad would pay less tax as a freelancer by just paying U.S social security and Medicare tax at 15.3% than they would with the hassle of an Estonian company.In the country with the most draconian tax policy for its citizens anywhere in the world, the U.S, you can make up to $102,100 in 2017 and exclude all of that income from federal and usually from state income tax if you work for yourself and you don’t have a foreign company. That person would just pay is Social Security and Medicare tax, and because you’re self-employed, you’ll pay the employee and the employer portion, so its 15.3% total. You don’t have to set up anything to do that. If you’re making $50,000 to $80,000 a year as a freelancer or just selling stuff on Shopify, you don’t have to go through the hassle of setting up a foreign company which may require you to fill out forms both in that company and the company where you are from. It requires cost and requires tax returns in that country. For a lot of people who are being marketed these Estonian companies, who aren’t making a ton of money, who are living as digital nomads, it might be easier to get a bank account where you are from. There might be places, even in the United States that may be easier to set up a company and pay less tax. So, what I always tell people is before you set up a company, decide where you want to be and work backwards. I am somebody whose father went through the, ‘when I have X, I can retire’, and then got to X and felt uncomfortable. And then said, ‘when I get to Y I will retire’, and then got to Y and felt uncomfortable. And, I must say that I feel the same way. You know, the idea that you’ll magically want to pay taxes later when you don’t want to pay tax today is nonsense. I understand that there may be someone who wants a legitimate company, but guess what- there are better options out there! Even if you want to be in ‘first world country’, there are better places to set up a company and pay less tax than Estonia, even if you don’t have to take the profits out today. If you do need to take the profits out today, i.e. you run a cash-flowing business, or you’re doing consulting or freelancing where you aren’t investing the profits into the business- there are a lot of better options in or outside Europe. Again, I’m not criticizing Estonia. I want to be very clear about that. I appreciate them immensely for making it easy and setting up an example in highly bureaucratic Europe, to come up with a way for people to not even show up in the country to use this e-residency card, to become verified one time and then set up company bank accounts. But do be clear, this does not guarantee that you’ll get bank accounts for your non-Estonian companies, i.e. an offshore company in Hong Kong. That is not changing. This allows you to get an Estonian company and get a bank account for that company. The question is, why do you want to lock yourself into a company that charges you 20% tax, even if that tax may not be due now? If your end goal is to reduce tax, expense and frustration, there may be better ways to do that. If you’re not making a lot of money, there may be one set of options. If you are making a lot of money, there might be a different set of options. Either way there is no “one-size-fits-all ” solution like it has started to be often presented, which is worth of emphasizing here. It’s probably worth investing a little bit of money and time to figure out if this is the best option for you. While the Estonia e-residency can certainly be beneficial for entrepreneurs, digital nomads, and people living a location independent lifestyle, it’s worth looking into fully before you make any investments there. It might seem like ‘the thing’ to do, but by taking a closer look, you can figure out if it truly ‘the thing’ to do for your particular situation. If I get the Estonian e residency and open a company with a business bank account how does this work if I live in another EU country? An example, if I live in Belgium or France or another country and someone from Germany, Sweden or another country wants to buy my product I am selling online and wants to wire me money into my Estonian business account what happens about taxes? Is the income tax paid in whatever country I reside? What about social contributions? Would that just keep changing around as I move from country to country if I kept the Estonian business that I could operate from a long distance? Very good article. Unless you need remote access to EU markets, there’s not a huge amount of added value in this structure. Something like a RAK Offshore IBC would probably be a better option. I think the biggest gripe I have with having an Estonian company is the lack of privacy and anonymity and the not-so-user friendly portal when you want to dissolve a company. For a country that has taken great pride in its technical innovativeness, the fact that company director data is all too easily available is a bit of concern. I don’t mind if for example I am publicly listed as the beneficial owner of a company, but I don’t like that my email address, my date of birth etc. is just as easily available. Especially in this day and age of data breaches and identity fraud. For this reason I am more tempted to go with another jurisdiction where this type of data (while still may be available to the public) would not be as easily obtained via simple Google searches. Well if anything Estonia seems to have mastered SEO at least! Do these taxes all in one 20% tax or they must be payed separately? “Estonia has a territorial based corporate tax system. A 100% exemption exists on all foreign earned income. If I bought a little property in Estonia and I’m classed as a non-resident for UK tax purposes… As the income is UK based and is paid into my UK bank account and I would be residing in Estonia as self-employed, would that make my income completely 100% tax free as foreign sourced income? Or would I be classed as a resident of Estonia and be forced to pay taxes on my foreign sourced income? I thought the same. Irish citizen here, living in a Baltic country. Is it better to do estonian e-residency or stick my income in a hong kong account. The problem with offshore accounts is getting loans. Hard to know what to do. If the estonian account is 20% and I don’t have to pay any more tax after that, then it may be worth it. You don’t have to pay additional taxes if you are a tax resident in Estonia, and you distribute your dividends as a natural person there. 20% CIT on distributed profits only + No dividend tax make Estonia the most competitive tax destination. What is frustrating about Estonia is their banks recently rejecting e-residents that are not residents in Estonia. They require you or your business to have some close ties to Estonia, which is not applicable for location independent business. Are income earned outside Estonia will be taxed? And are there laws that provide for bank secrecy? What you may recommend in return for a sole proprietor, a small digital studio, whom in need of easy, fast, accessible, tax friendly country to register and open bank account ?? Hello everyone. I’m Portuguese and Swiss (dual Nationality) I’m in pre-retirement. At the end of the summer I will become Nomad. I would like to open an anonymous account, this is a bank that ruins my privacy, my savings, and my personal information. Can someone please give me some suggestions?